Hotel Span Suites Banswadi is known for their round the clock services. Guests will be captivated by the stylish and sensual ambience of this hotel. The hotel evokes romance and tranquillity with its elegant accommodation and basic amenities. Enjoy tranquility and nature while being in a safe, private and comfortable environment. Amenities like free Wi-Fi, power backup and parking facility are provided for your convenience. CCTV cameras ensure security of your stay. This area boasts renowned arts and cultural events, theatres, playhouses, entertainment venues and a number of famous restaurants. 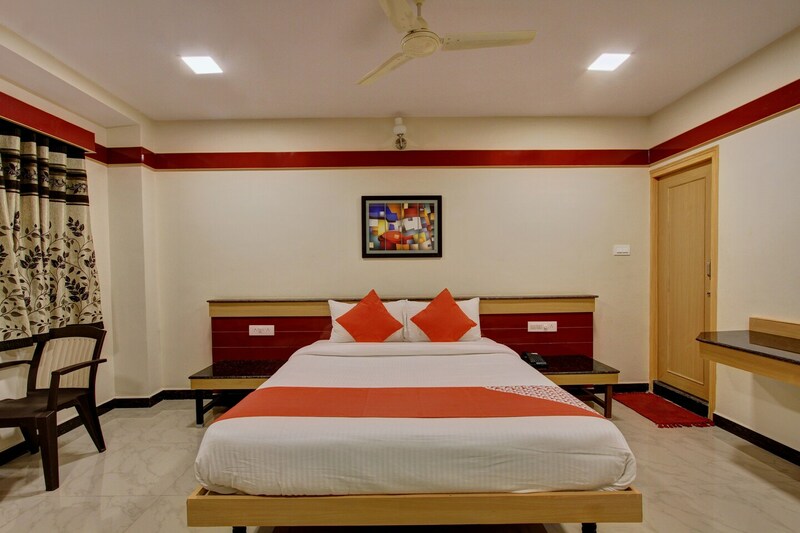 It is very closely located to famous attractions like Bangalore Palace, Iskcon Bangalore, Devanahalli Fort, Amrutha Sarovar, Hal Heritage Centre and Aerospace Museum and Anjanadhari Apartments.